Welcome home to 1107 Garden Village Dr.! 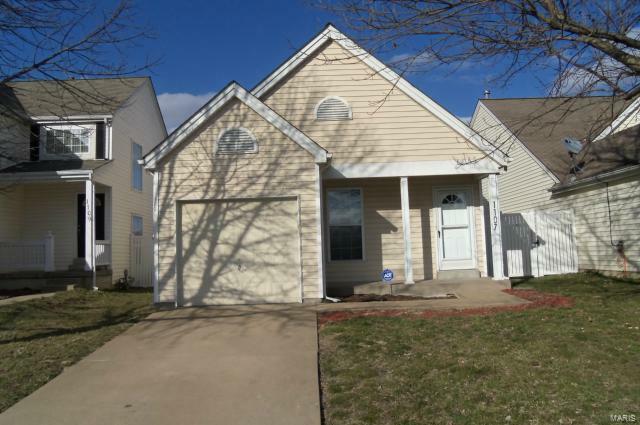 This adorable 2BD/2BTH home is located in the Village of Liberty Gardens subdivision. Features include an open floorplan with a dining/living room and an updated kitchen. The home has 2 bedrooms which includes a Master suite with a full bath. A full basement which adds to the living space has plenty of storage and washer/dryer hookup. Oversized one-car garage. Fenced yard with patio. Sorry no smoking/no pets. Make an appointment today! !